We’ve been around for quite a while. Andy’s Appliance Repair has been serving Lincoln, NE since 1971 in fact. We are a third generation, family-owned company. We do things the right way and not just the easy way. That is one of the main reasons we’ve been in business for so long – no shortcuts. In recent years our company has grown to 12 technicians and 6 office staff members. We are looking to increase the number of technicians on staff, but it’s not our style to hire just anybody. We promise to only add technicians who are qualified on a technical, professional, and social level. We realize that we are guests in your home, and we ensure you that we will behave accordingly when we come to fix appliances. Our services include (but aren’t limited to) freezer repair, oven / stove repair, ice maker repair, washer repair, and refrigerator repair in the Omaha and Lincoln regions. All of our technicians are equipped with field laptops so we can use Appliance Job Rate Pricing. This is a program specifically designed for the Nebraska region, so our customers have full assurance of fair pricing. This is just one of the ways we are dedicated to providing affordable appliance repair. In today’s post, we won’t be asking you to simply take our word for our promises of quality customer service and fair pricing. We will be looking at what some of our customers have said about us over the years. We are passionate about what we do, and we want you to know what your kitchen appliance repair options are, so please excuse us while we briefly brag about ourselves. Let’s get started! We called Monday afternoon with a refrigerator issue, they sent someone out the next morning. Our Certified Technician, Brad, diagnosed the issue and unfortunately did not have the part on-hand. He went out of his way at the end of the day to go pick one up and add us to his schedule before he went home, to ensure our family could have a functioning fridge ASAP. The customer service and dedication to the problem were fabulous. We highly recommend them. – Melissa C. Gretna, NE, 5 Stars. Thank you Melissa for your wonderful review! Brad exemplified the above-and-beyond attitude that we’ve become known for when it comes to customer service. 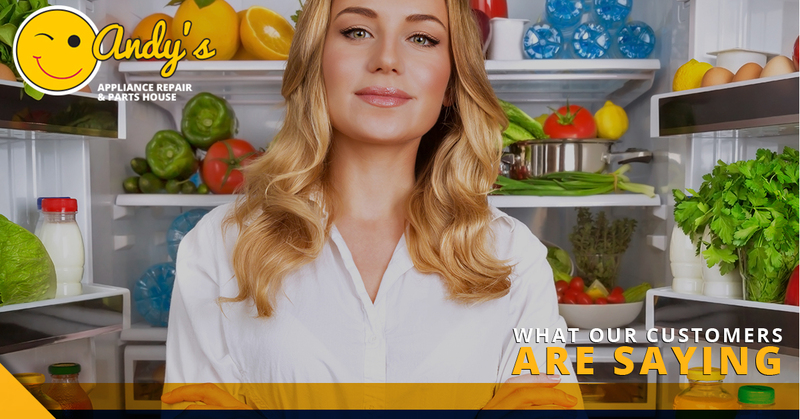 We understand that having your appliances working correctly really matters, and we will do everything we can to get your refrigerator repaired (or freezer or ice maker repaired!) as soon as possible. Not having a functional washing machine, dryer, or refrigerator can be more vexing than any of us realize. That is, until they break. “My mother is 84 yrs old and called Andy’s for her washer that wasn’t draining in final cycle. They came out to look and told her she needed a pump. Pump shipped in after it was ordered and they came back out to replace the part. After further diagnostics it wasn’t the pump at all, they could have just replaced the part and charged her for the repair with new part. Very honest and mom was happy. Thanks so much for the great service. 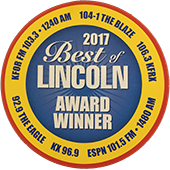 Will recommend Andys to all.” Bob M. Lincoln, NE, 5 Stars. Like we said earlier, we haven’t been in business for the better part of 50 years by cutting corners. We shipped a new pump in for Bob’s mom, but it turned out that it wasn’t needed at all. 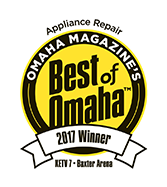 We aren’t in this business to make a quick buck, we are in affordable appliance repair to provide a quality service to our community in both the Lincoln and Omaha regions. I would like to say how great your Employees are. I always make sure I call you first to have any of my appliances worked on. Also, your Employees make the customer feel like family. I just wanted to take a moment to say “Cal Overton” was out to our home again today to look at my refrigerator again. We have had Cal out a few times and he is an exceptional technician. He always does a great Job for us. I would appreciate if you take the time to let him know how good of work he does. I only trust Andy’s Appliance Repair because once you have the best why go anywhere else. Thank You for Hiring Great people! Jeannie” Jeannie D. Lincoln, NE, 5 Stars. Don’t worry Jeannie, Cal got an ‘attaboy for this one! But at the same time, this is what you can come to expect at Andy’s Appliance Repair. We love the part where Jeannie said “Once you have the best why go anywhere else”. Our sentiments exactly. We work hard to make sure people like Jeannie taken care of in the best way we know how: providing exceptional appliance repair service. “Adam came out this morning to work on my clothes washer. He was on time, which is important because I need to get to work on time myself and he was finished in less than an hour! 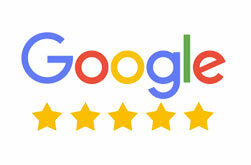 I am thrilled and would recommend your service to anyone!” – Tammie D. Lincoln, NE, 5 Stars. Not every home visit is going to be a life changing experience for our customers, and we get that. Sometimes it’s all about keeping your word and being punctual. For Tammie, that was exactly the case. Adam performed his washer repair duties in record time, and our customer’s day wasn’t ruined by some shady serviceman coming out to ya between “one and five”. We appreciate the opportunity you’ve given us to brag about ourselves a little bit. We hope that these customer testimonials have confirmed our promises of exceptional service and care. 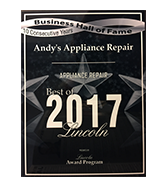 It’s the reason Andy’s Appliance Repair has become the preferred appliance repair service company in the Lincoln, Omaha, and surrounding communities. Think of us at Andy’s Appliance Repair the next time you are in a pinch and in need of domestic appliance repair!